Is your backpacking gear weighing you down? We don’t need to tell you that carrying unnecessary weight isn’t only a nuisance but can be the difference between a successful trip and breaking down along the trail. And when it comes to long distance hikes, every last ounce matters. Cutting gear weight can be a challenge, even for the seasoned explorers among us so we rounded up 5 of our lightest weighing flashlights to give you some gear options that will keep you prepared for anything. 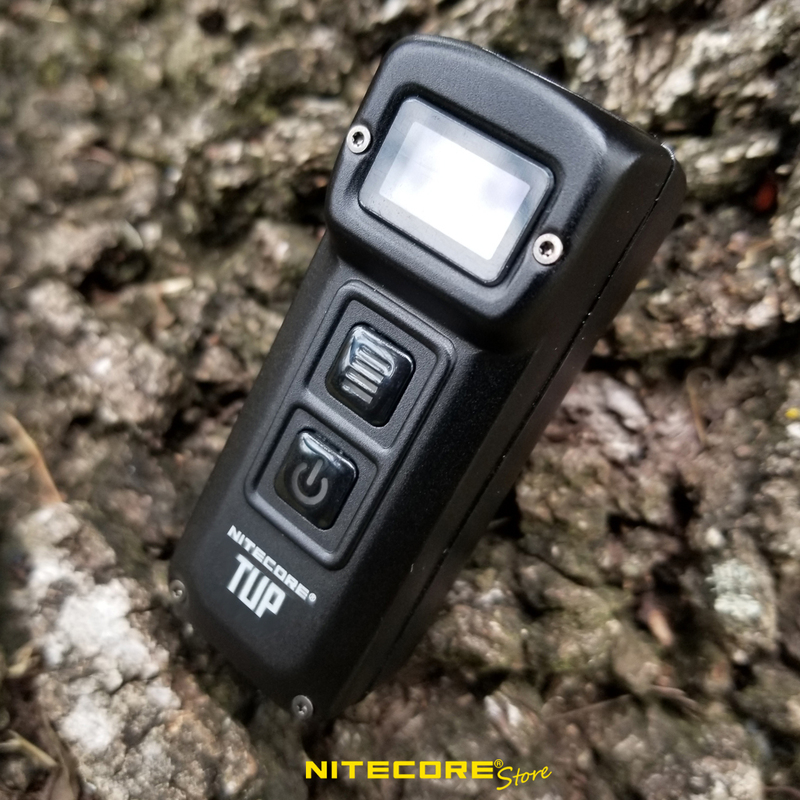 Why we love it: The NITECORE TINI might be the smallest flashlight on our list, but the 380 lumen output from this keychain flashlight is bright enough to rival some full-size lights. TIR optics give you a smooth beam that won’t cause harsh glare when reading, and instant access to Turbo means you’ll always have a burst of light waiting at your fingertips. Why we love it: If NITECORE had stopped at making a 1000 lumen flashlight the size of a thumb, we would have been impressed enough. But this flashlight takes it beyond impressive by adding luxury features rarely seen on a pocket flashlight such as the brightly lit OLED display that always lets you know what mode you’re in, and more importantly, how much battery is left. 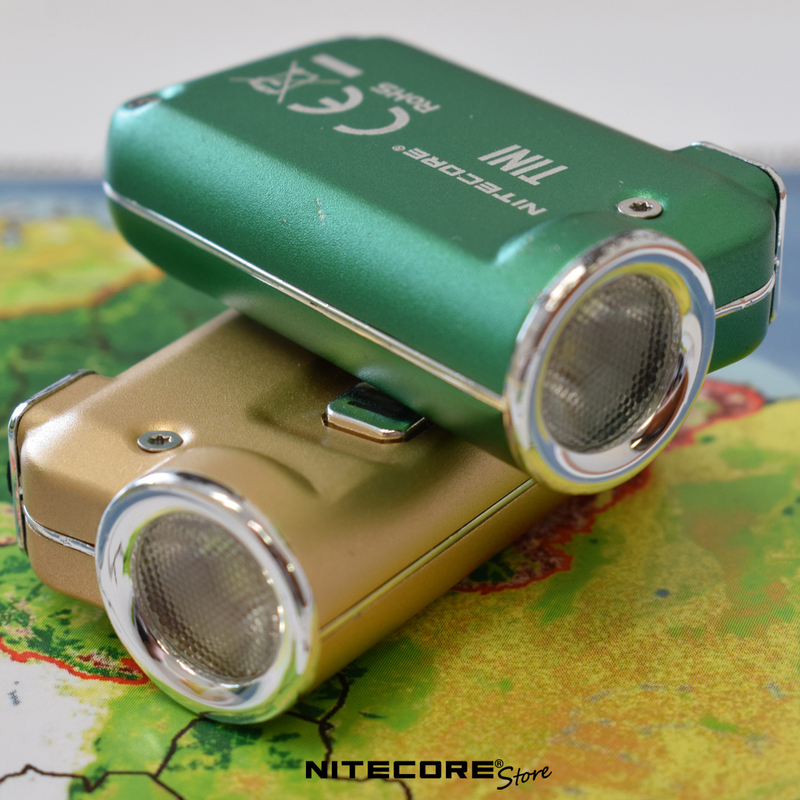 Why we love it: Our list includes a few flashlights in the 900-1000 lumen range, but the NITECORE MT10C is the only one that also includes a secondary red light. Why is that important? This low light option can preserve night vision and is less likely to attract unwanted attention from insects and wildlife alike. The MT10C also incorporates a tactical-style tail cap so light is always a button press away. 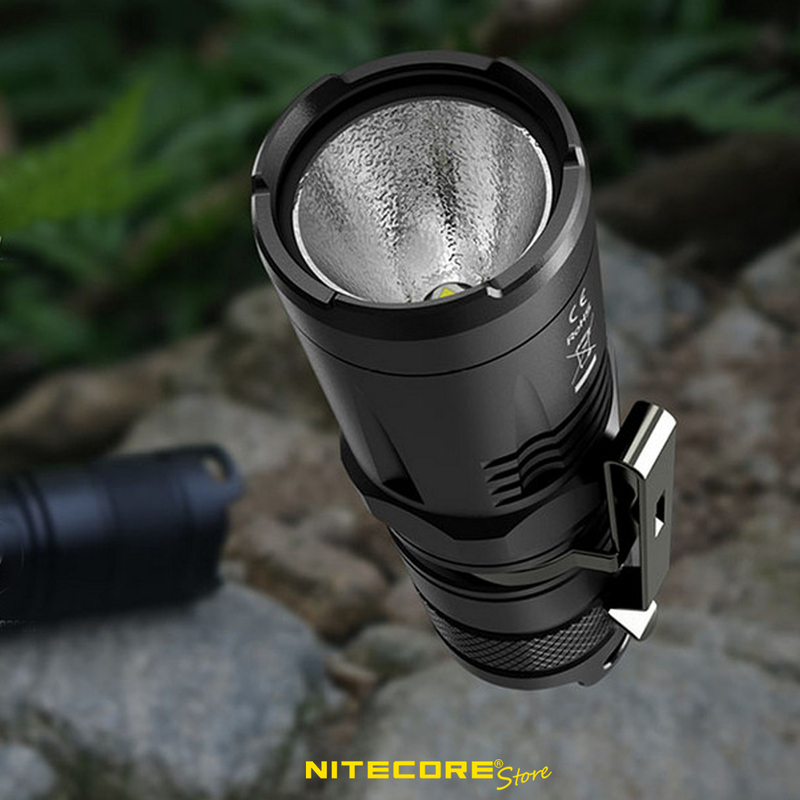 Why we love it: You can’t underestimate the convenience and versatility the NITECORE LR12 brings to the table. A simple twist turns this 1000 lumen flashlight into a 360° lantern thanks to a retractable open top diffuser. Complete with a magnetic tail cap and lanyard for positioning and carrying, the LR12 knocks out two pieces of gear in one! Why we love it: One of the biggest limits of smaller flashlights is that throw distances are often underwhelming. 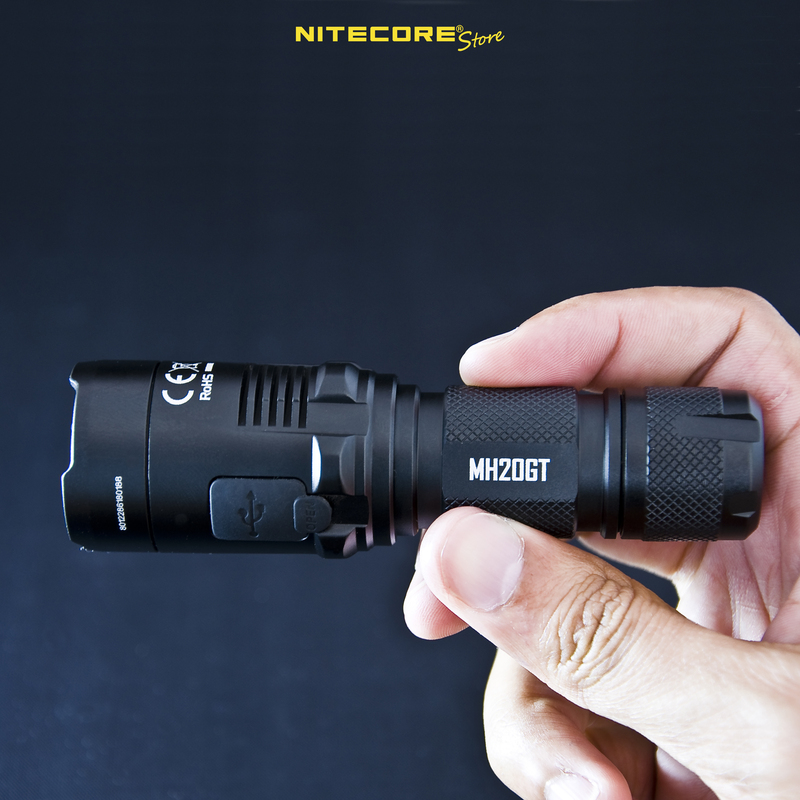 The NITECORE MH20GT rethinks what’s possible with its 1000 lumen output rated for up to 396 yards of throw distance. 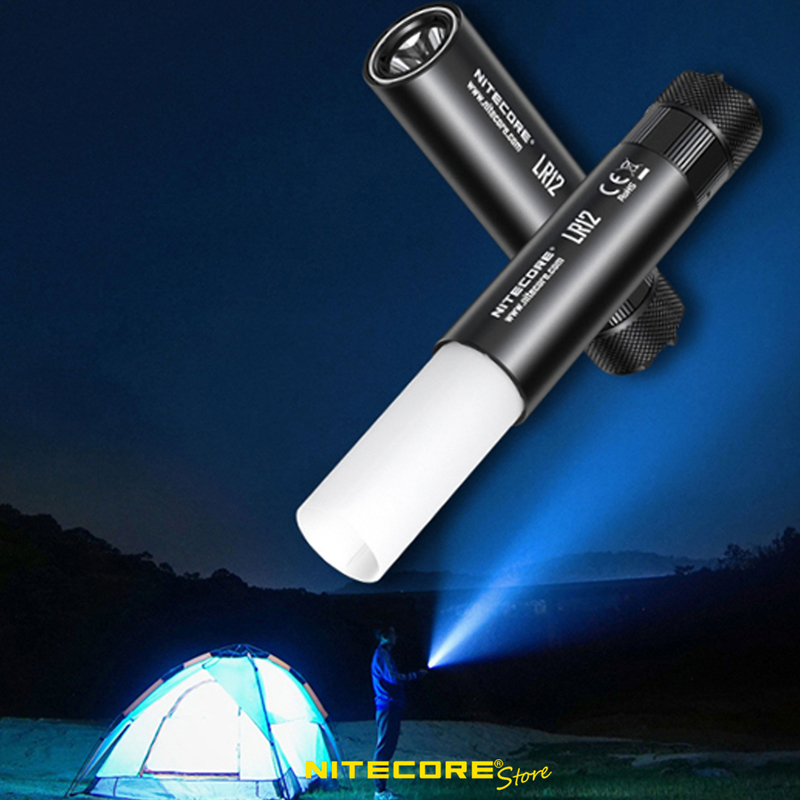 If you need your beam to cover long distances, make sure this rechargeable flashlight is part of your gear. * Weights including batteries are estimated and for reference only. Actual weight may vary depending on the batteries used.